Children have a very different environment surrounding them now compared to the time period of The Adventures of Huckleberry Finn, of this we’re certain. But what liberties were taken with the classic Mark Twain tale, “The Adventures of Huck Finn” as it was translated to a major 1993 Disney motion picture? 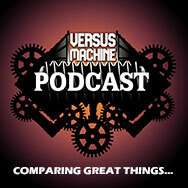 We take it all on here inside this episode of The Versus Machine! Be sure to tell us what you think and we’ll use your comments in a future ALL-FAN-INPUT Episode! — Need A Copy Of This Mark Twain Classic? Try Here. — Own A Copy Of This Disney Classic? If Not, Here You Go. — We Found 10 Facts About The Adventures of Huckleberry Finn! Dig In. 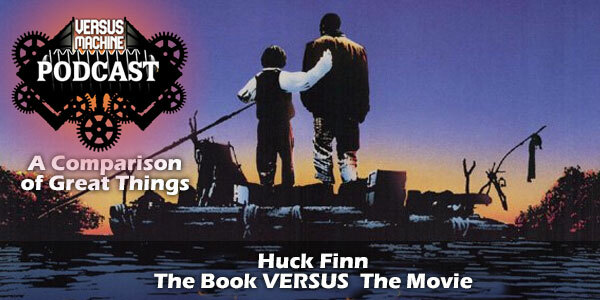 — Which did YOU prefer, The Adventures of Huckleberry Finn (The Book) or The Adventures of Huck Finn – (The 1993 Movie)? Be sure to tell us now! — Is The Adventures of Huck Finn – (The 1993 Movie) YOUR favorite adaptation of Twain’s book? We Want To Know. — How many times have YOU read The Adventures of Huckleberry Finn? Share Your Answer With Us.